Avengers: Infinity War officially hits $2 billion worldwide today. So, this is a marvel movie with no stakes again. It was a good movie, I enjoyed the whole thing, but at no time was anyone ever in real peril. Wakanda fight scene is dumb, and the Gungans are a good analogy. Dr. Strange saw 14 million outcomes, where only one succeeded, so clearly the one of him giving Thanos the time stone is the one where they are victorious? With his gauntlet 'destroyed', maybe they power up the forge to get the other, steal his infinity stones and turn back time. Who knows. 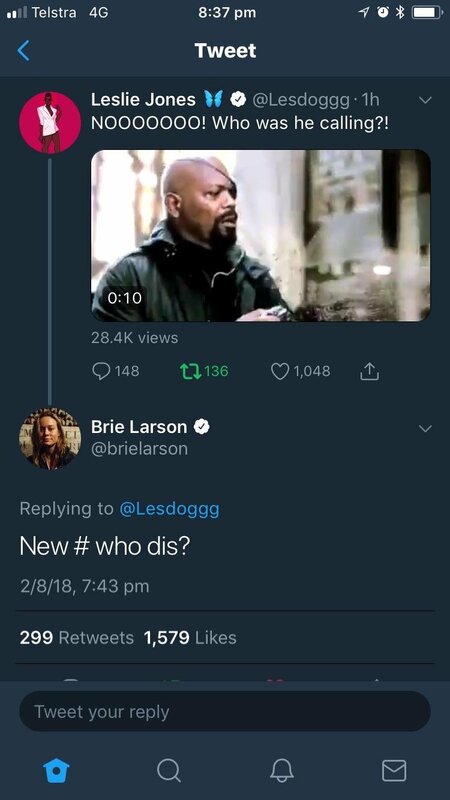 cwilkins88 wrote: Haha, oh Brie Larson. It's because SLJ was paging her Marvel character. Get it? I figured she was just going to trap Thanos in a room. Longest Honest Trailer ever? Funniest one in awhile too, I laughed a lot at the names.